Custom portraits of our furry family members begin at $125, which includes both the process of hand-painting with watercolor and optional digitization of approved artwork. Very close attention is paid to capturing the personality of the pet in their eyes and overall look. For a small fee, the final portrait can also be digitized and made ready for print! Delivered in a high-resolution file, the design can be used on notecards, prints, or even pillows! Our homes are the places where the most priceless of memories are made. 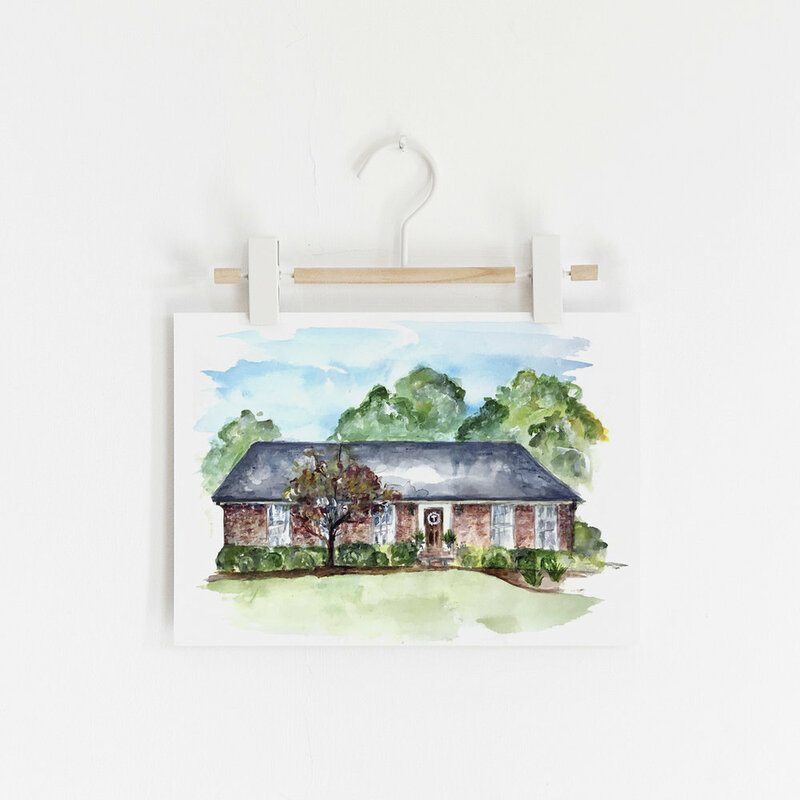 A custom portrait of your home-- or any building important to you-- captures it in a way different than a photo, but just as timeless. Prices start at $125 for an original 8x10 custom house portrait, or a digitized depiction edited and delivered electronically for printing. Pricing may vary depending on amount of renderings and intricacies requested. Interested in a pet, house, family, or bridal portrait? We would love to work with you!